Creature Comforts (Athens, GA) has debut their first can designs. The brewery, which opened earlier this summer, has had their sights on canning since their inception. 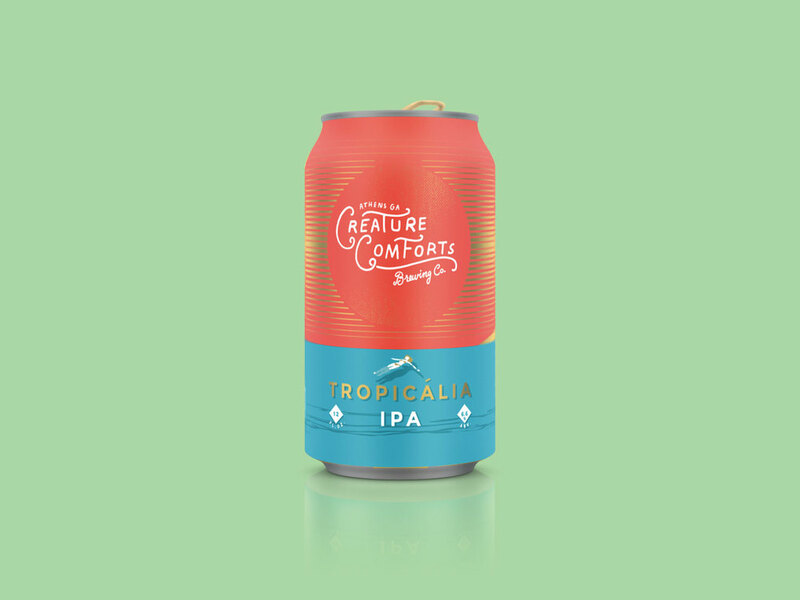 Creature Comforts Tropicalia (IPA, 6.5%) and Athena (Berliner Weisse, 4.5%) will be first off the canning line. The designs are the brainchild of creative genius Kim Kirby of Young Athenians. Creature Comforts will debut both in 12oz can sizes. This week, the brewery also debuted an new limited draft offering, Tritonia Cucumber & Lime Gose. Excited to see the cans come around. Creature Comforts has great potential.